Practice rhyming Spanish words to build phonemic awareness. In other words, to recognize similarities between words we hear. This will help in learning to read and write later on. Plus kids enjoy thinking of new words (real or made up ones) that rhyme. Be prepare to laugh!!! 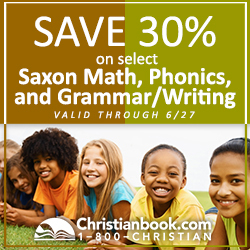 Children can naturally learn a new language from a young age when they learn to rhyme. This is why I put together this printable that has more than 30 cards to print. 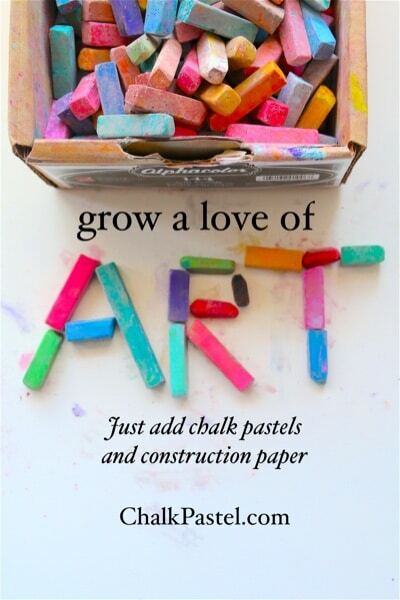 Print them on cardstock and laminate for durability. Then cut each card in the center (the orange dotted line) so that you can mix them up and find the matching pair. 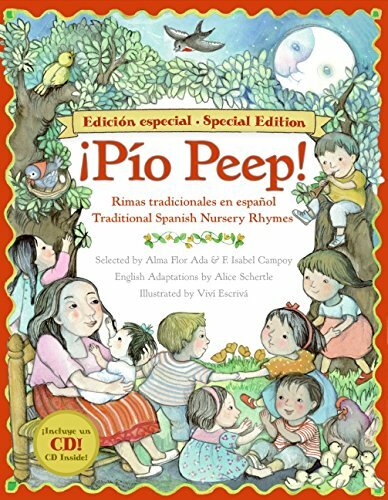 There are also books that have nursery rhymes and poems in Spanish through Amazon that are full of RICH RHYMES. Why Use Rhyming to learn a language? 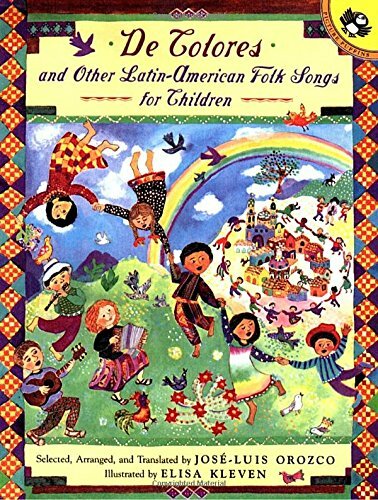 Reading and singing rhymes is a natural way to learn a language. 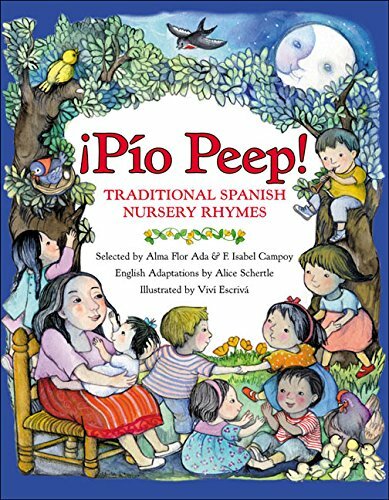 Parents and grandparents often sing nursery rhymes because these have been passed from generation to generation. They usually have a nice ring to them, they flow, it’s like a song. 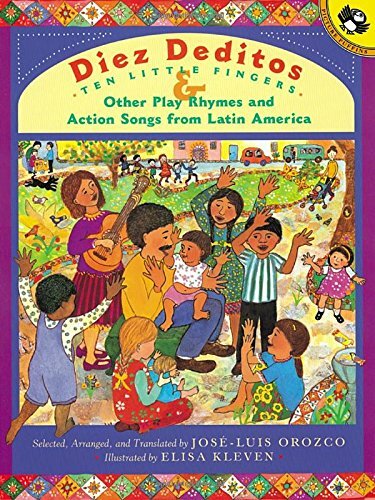 Rhymes also teach culture, tradition, as well as language structure. Record the rhymes by writing them down on this Registro de palabras que riman. In our homeschool, we enjoy every opportunity we get to play a board game as a family. It is such a fun and relaxed time to learn and play together. We look forward to our Saturday afternoons where we get to bake together, play a game, and have fun. Based on my personal experience as a language learner, language teacher, and my studies in TESOL (Teaching English to Speakers of Other Languages) I know as a fact that it is easier to learn a language by making it meaningful. In other words, we want learners to have authentic opportunities to learn the language. Playing games boosts learners confidence skills, enthusiasm, and creates a fun environment where they can get to practice their language skills. Playing board games equals fun learning time. One of my goals as a teacher is for my children to learn Spanish. They don’t like being drilled and honestly I don’t like to drill them either. But I do like them to use what they know , build on previous knowledge to further their language skills. 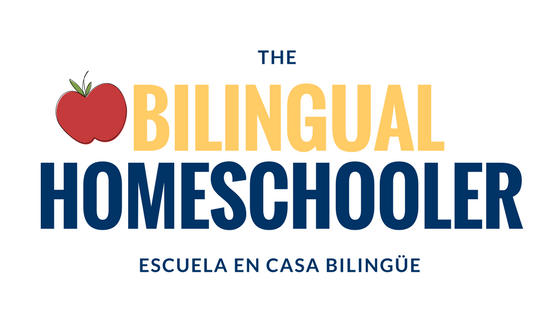 So this is why I compiled this list of board games that will help them to learn Spanish at home. Bingo: Classic game that builds and reviews vocabulary. It comes with 40 cards and chips. 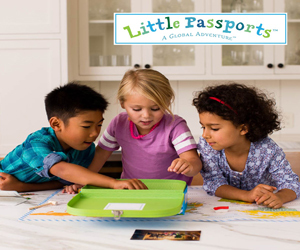 This game can be played with the whole family or in a classroom setting since it has enough cards for a large gathering. I started playing this game with my family several years ago and my youngest started playing it when he was close to 3 years old. Definitely a fun game for making use of Spanish vocabulary useful. Scrabble Spanish: The Spanish edition includes all the Spanish letters as well as additional vowels. Spanish Monopoly: My absolute board game that kept my family playing for hours! It is also a great opportunity to practice Spanish. Learn and use words such as comprar, pagar, arrendar, hotel, casa, construir, etc. This is also a great game for practicing counting in any language. Use those Spanish words in real context when playing Monopoly. Manzanas con Manzanas: This is the Spanish version of Apples to Apples. 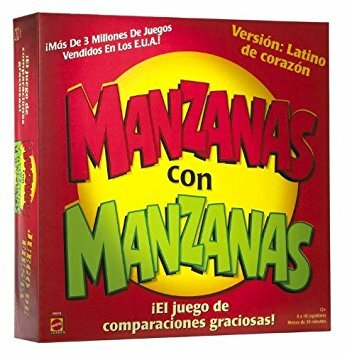 I absolutely cannot wait to have our whole family playing this game in Spanish! This game guarantees the use of the language and I can just see it being a total hit. Spanish learners will amaze themselves with how many words they know. This is a great game for practicing: reading, synonyms, antonyms, vocabulary, and so much more. 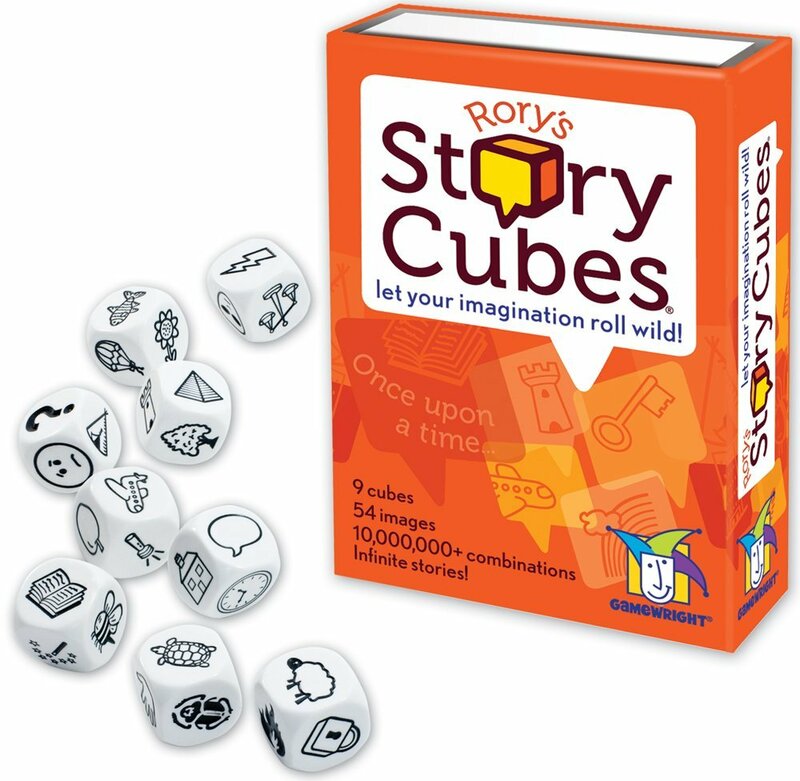 Rory’s Story Cubes: This game contains cubes with different pictures / symbols. Each player has to roll the dice and create a story with the picture. This is such a good game to build literacy, create fun stories, work with adjectives, and spark use of the language. There is this other version of the game, geared for younger kids ages 3 and up. Guess Who Game: This game is an excellent follow up to practicing descriptions in Spanish. 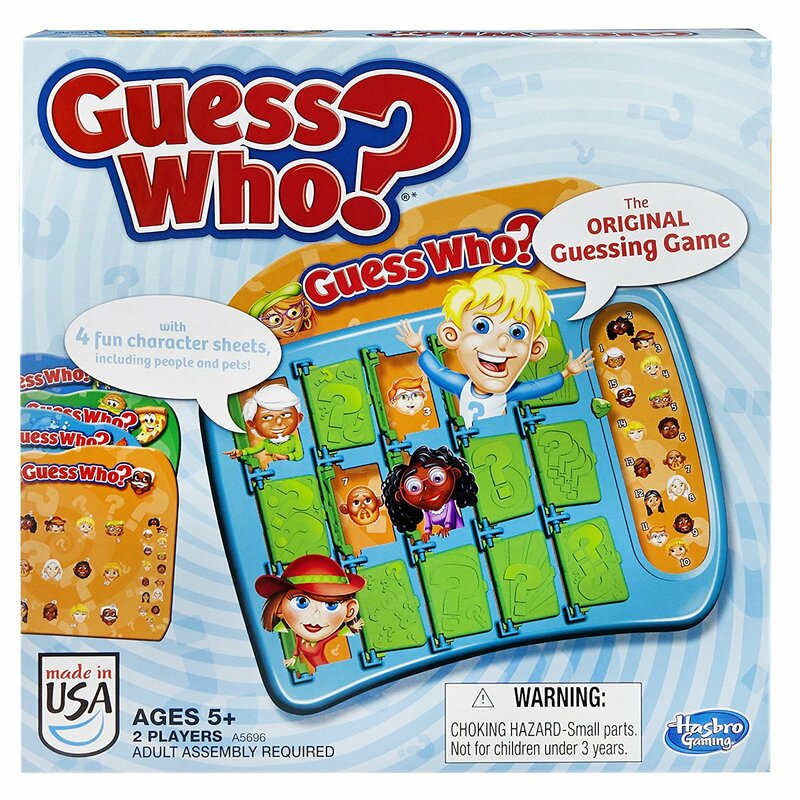 Both children and adults find this game enjoyable as everyone has to ask questions and provide descriptions to figure out the mystery character. A fun game for everyone to play! 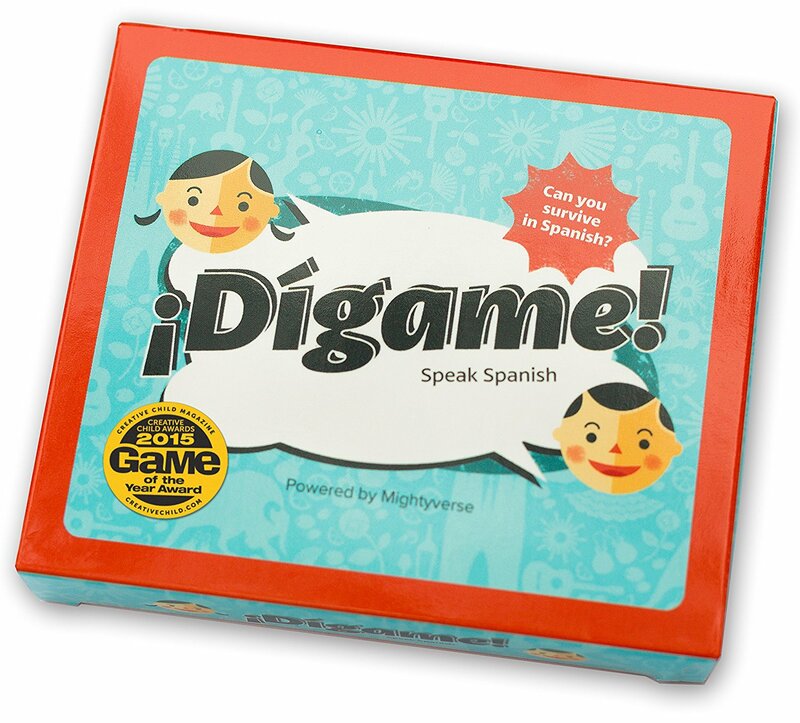 Dígame: Although I haven’t played this game, I am adding it to my cart because it has raving reviews online including Winner of the 2015 Creative Child Awards Game of the Year. 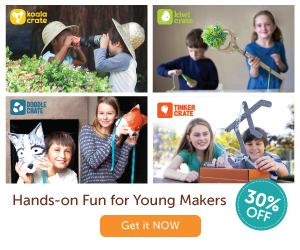 It builds language and vocabulary skills and gets people talking. 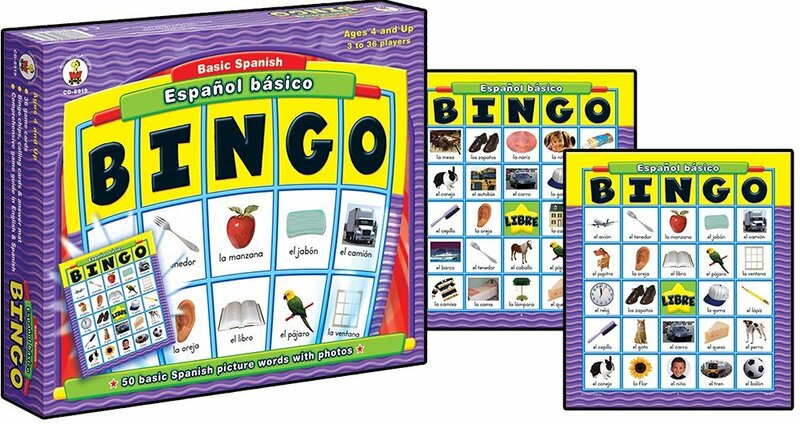 What board games do you play to teach Spanish?